Some politicians on Sunday continued to react to the resignation of former Vice President Atiku Abubakar from the All Progressives Congress (APC). The politicians made their view known in an interview with the News Agency of Nigeria (NAN) in Abuja. Senator representing Nasarawa North Senatorial District, Sen. Philip Gyunka(PDP-Nasarawa) said Atiku had been a bona fide member of the Peoples Democratic Party (PDP). “His being away from the PDP was to study the environment. He saw what the APC was doing which was not acceptable and so he had to return home. “In politics, you have time when the wind blows. Where he was is not the right place. Atiku has to find his bearing, that is to return back to where he belongs. There is nothing bad about it,” he said. Similarly, former Deputy Governor of Nasarawa State, Prof. Onje Gye-Wado, a PDP stalwart said “everybody is coming back to settle down. “All of us are getting back to the PDP. PDP is the only party in Nigeria,” he said. He described Atiku's resignation from the APC as “returning home”. “When you go away as a prodigal son and realise that you have a heritage, you invariably get back to where you belong. Gye-Wado said 2019 election would be the ultimate politics ever in the history of Nigeria. Also the Chairman, Interim Management Committee, Wamba Local Government Area in Nasarawa State, Mr Murtala Lamus, said Atiku leaving the APC “would not change anything in the party”. “God will enable us organise ourselves in the APC,” he said. 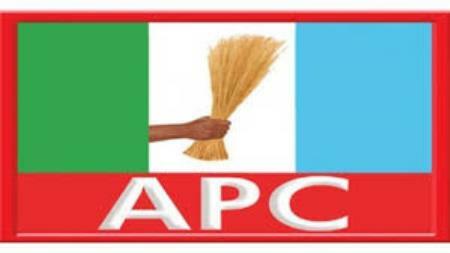 0 Response to "Politicians welcome Atiku's APC resignation"